Four new Local Landcare Coordinator half-time positions are being appointed in the southern and central Riverina, funded by the NSW Governments $15 million Landcare Support package. Tom Stacy of Tumut, Chairman of Murrumbidgee Landcare Inc., said that the new appointments will assist local groups around Hay (rangelands), Griffith (irrigation areas) and in the mid-Murrumbidgee (mixed farming zone), supporting the expansion of Landcare in membership, on-ground activity and governance. 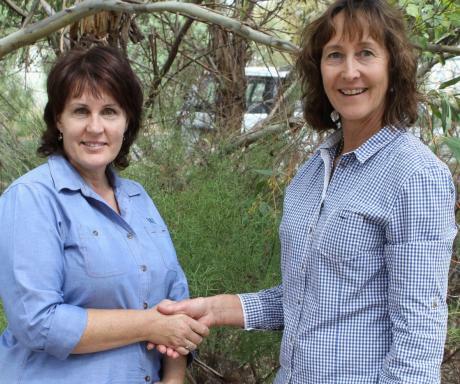 “These LLC positions will be a huge boost to the growing Landcare network in the Riverina, which has benefitted from the recent appointments of Bindi Vanzella and Kimberley Beattie as Regional Landcare Facilitators , in a program funded by the Australian Government. In addition to the two Regional Landcare Facilitator and four Local Landcare Coordinator positions that are managed by Murrumbidgee Landcare Inc., another two positions are managed by LachLandcare in the northern part of the Riverina region”, Mr Stacy added. The Local Landcare support program has already resulted in enhanced collaboration between community Landcare and Riverina Local Land Services. 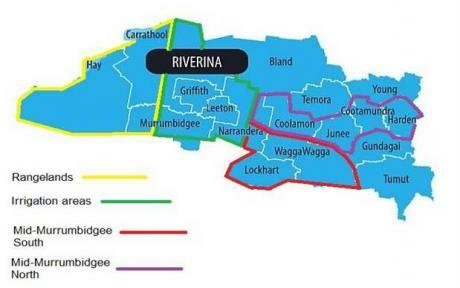 Riverina Local Land Services is supporting Murrumbidgee Landcare Inc. with some office locations, along with direct staff support of Landcare networks and groups in the Gundagai-Tumut, Harden-Murrumburrah and other districts. In addition, agricultural and environmental alliances, such as the recently-formed Landcare Irrigation Area Collective, are developing with local government, grower organisations and service bodies. These networks are attracting individuals and partners in the quest to strike a balance between productive agriculture and sound natural resource management. Local landholders are actively managing issues such as soil acidity, salinity, erosion and water quality. They are now setting their sights on biodiversity in the Riverina, needed for environmental stability and resilience. In particular, increasing the fragile areas of native vegetation and habitat are needed to sustain the native animals, birds and insects that help resist biological upsets like tree dieback and pest outbreaks. The Landcare community is also aware of opportunities to broaden the appreciation of Indigenous culture within the Riverina. The allocation of funds towards Landcare is recognition by the Australian and NSW Governments of the importance of maintaining community interest, involvement and education in the landscapes that sustain our rural communities.